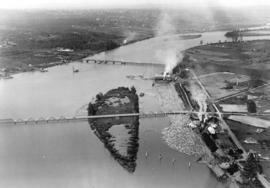 A birds-eye view of the eastern business section of Vancouver, B.C. 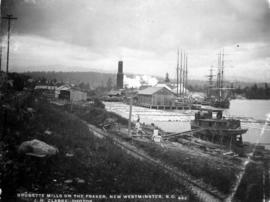 Item is a photograph showing the Brunette Mills buildings along the Fraser River. 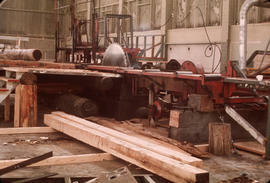 Brunette Sawmills, Ltd., Sapperton, B.C. 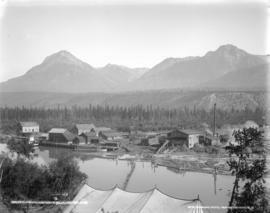 Canadian Tug Boat Co. Ltd at Fraser Mills B.C. 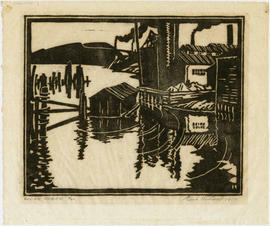 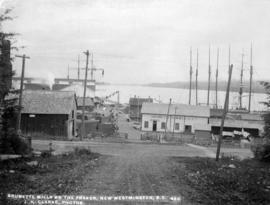 Photograph shows a waterfront view of tugboats, a paddle-wheeler and a fishing boat docked in front of a mill. 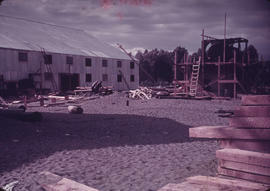 Canadian Tug Boat Co. Ltd. at Fraser Mills B.C. 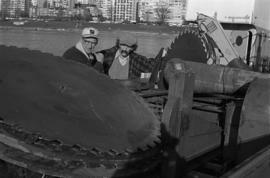 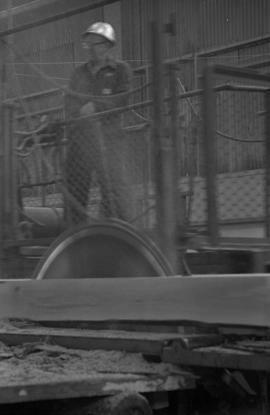 Photograph also shows the "Senator Jansen" paddle boat. 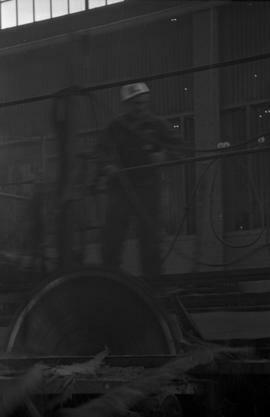 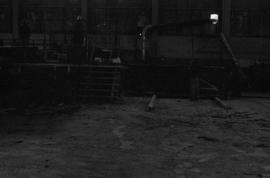 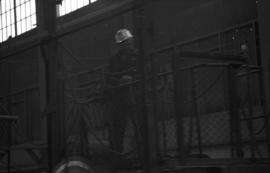 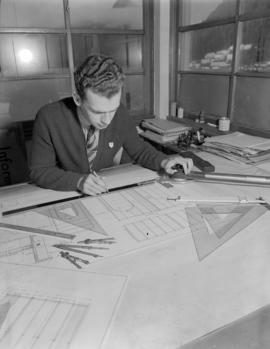 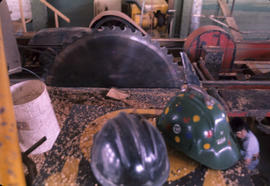 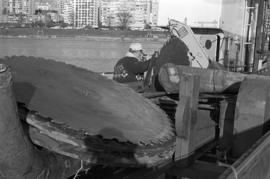 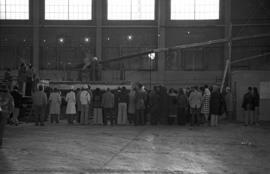 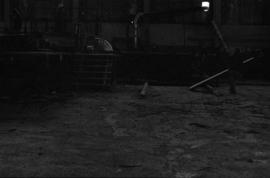 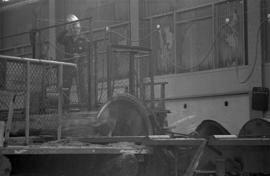 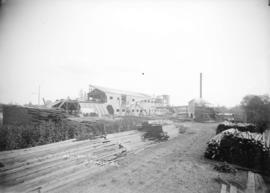 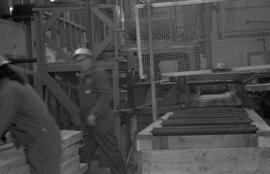 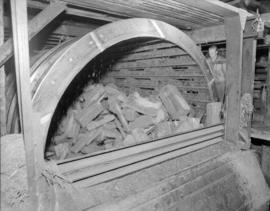 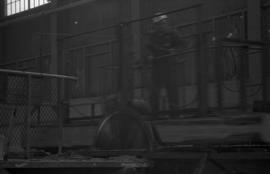 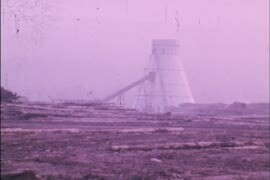 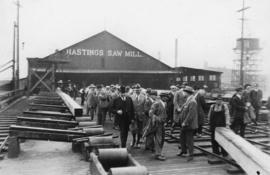 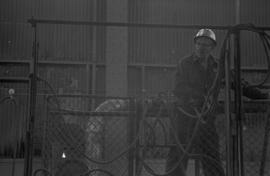 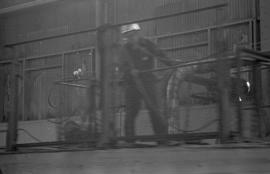 Item is a photograph showing the Habitat Forum Sawmill. 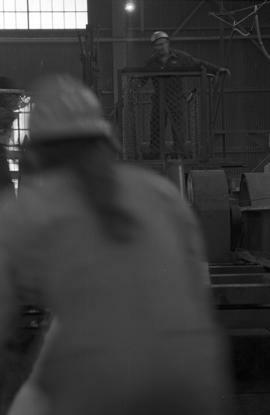 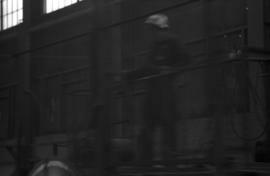 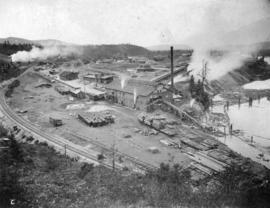 Golden Lumber Company's Mills, Golden, B.C. 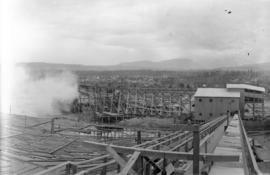 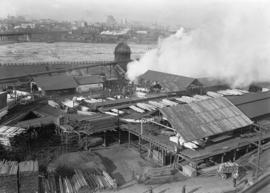 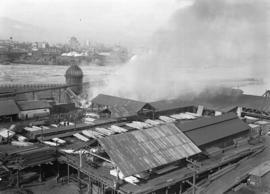 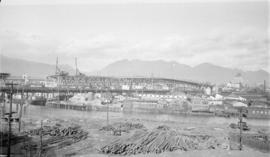 Photograph shows the J. Hanbury Co. Ltd. sawmill yard, the old bridge and the new bridge under construction, Granville Island, Spear and Jackson B.C. 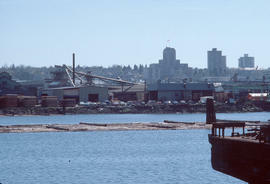 Ltd. and the Hotel Vancouver.